Gospel meastro Dangelo Busuulwa. Photo by Paul Ibanda. Following Judith Babirye’s engagement in active politics and entry in parliament as Woman MP Buikwe district, the gospel industry has been lacking a vibrant gospel musician equivalent to the legislator or to Pastor Wilson Bugembe who also found path of silent dwindling lyrically. None the less, news coming from Stars Empire crew in which Dangelo Busuulwa is a Member and a singer, he has not been a slow learner to take advantage to devise means of reaching his desired status in the industry. Though many gospel singers claim there are no monetary gains in the industry, the perception is in divergence according to Dangelo Busuulwa. “In gospel music there is money but stake holders have failed to provide the suitable avenues that can lead them to achieve big from the industry. If we do qualitative music audio and video, then we are bound to reap big but we usually invest less hence giving substandard lyrics to our fans”. To end the verge, the OmwakaGuno hit singer has cropped out as the first gospel singer to shoot a video with a one Sasha Vybs who is believed to be the most expensive videographer in our local industry. 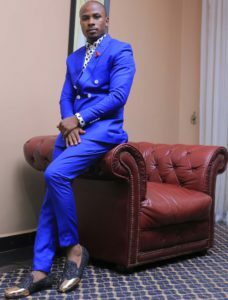 Busuulwa has done his latest video dubbed Imanafite, a kinyanyarwanda song with Sasha at Shs11 million and the video is now out and much is expected from this new release including going viral across borders. With such kind of qualitative genres, Busuulwa is expected to step into Judith Babirye and Bugembe’s shoes in addition to formerly released hit songs like Omuliro, Nzinirayesu and Ssente, among others. His latest song describes God’s omniscience, omnipresence and omnipotence based on a true story in his life.